The 12/18-4 M hot water high-pressure cleaner reaches new levels of performance, reliability and economy. 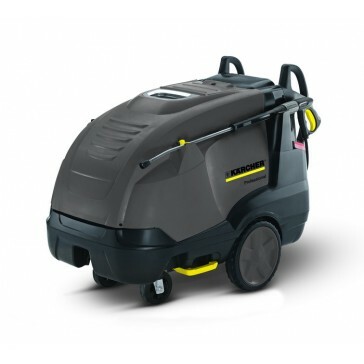 With innovative features such as the eco!efficiency mode, offering fuel savings of up to 20% without compromising cleaning performance, the HDS range provides our customers with the toughness, cleaning power, and low running costs they demand. The 12/18-4 M features a 4-pole, water-cooled electric motor with long-life bearings and a 3-piston axial pump with ceramic pistons.